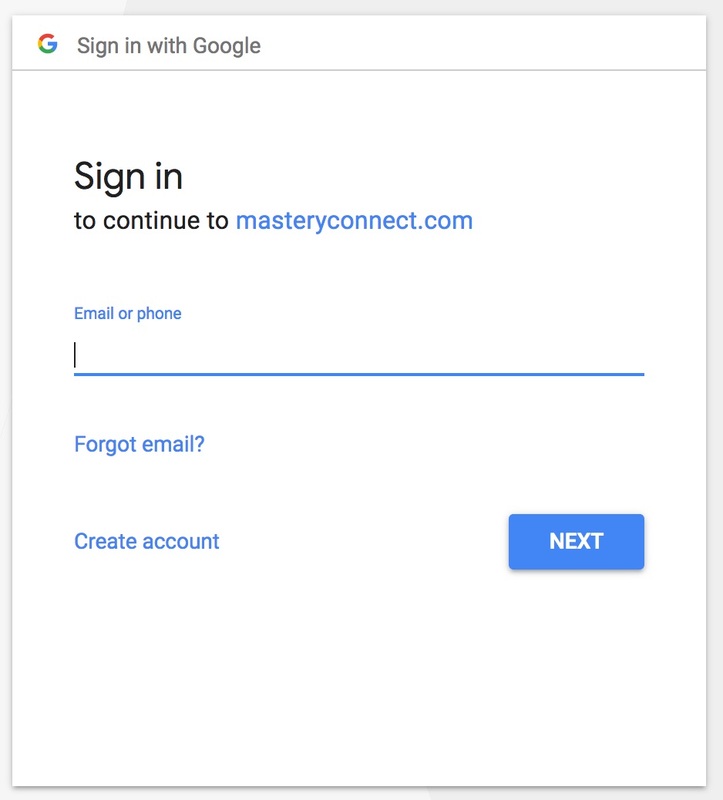 Sign in to MasteryConnect with your Google username and password. Note: You can also access the login screen by typing: https://app.masteryconnect.com/login. 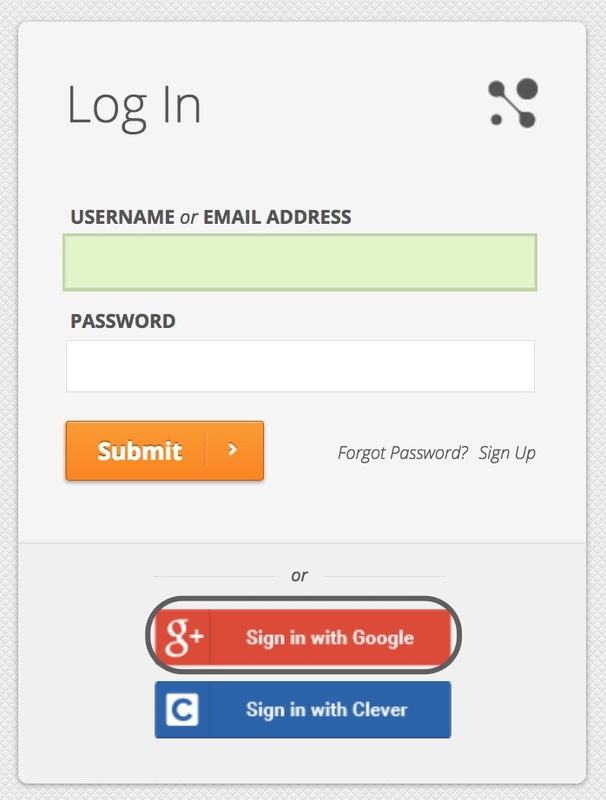 Click on Sign in with Google, then log in with your Google username and password—or select your account.